In an effort to provide more reliable and effective communications with citizens, Macungie Borough has implemented Swiftreach Networks, Inc. as our emergency notification provider. Swift911 is a notification program with the capability of delivering recorded warnings to the entire community, via telephone or TTY (teletypewriter) or text to the Borough or specific areas to notify citizens by phone of information regarding you or your property. The system can make thousands of calls in a minute to convey vital information which may include water emergencies, weather emergencies or for sharing important information. 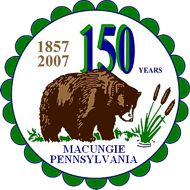 All calls you receive will have the caller ID of "Macungie Borough". Your information will not be provided to any outside agencies or companies. Check out the 3 easy ways you can submit your information so you keep informed. Click HERE to read for more information.